We operate a complete center for metal coils processing. Processing machinery consists of a slitting line machine for producing smaller coils from a master coil and a cut-to-length plate machine. The coils processing center is located at our newly created facilities, at 7th km Skydra-Aridaia road, Pella municipality, in an industrial building of 2.000 m2, equipped with state-of-the-art machinery produced in 2010. Overall operation of the two main lines are certified according to ISO 9001:2008 standard "HIGH PRECISION COIL PROCESSING". All measurements taken during coils processing are carried out by highly accurate measurement instruments and at the same time line operators supervise quality characteristics of coils produced through a standardized process of quality control. In a rare case that master coils do not meet certain quality standards, our operators stop overall production and take all necessary measures (claims to master coil supplier) to guarantee final coils quality. 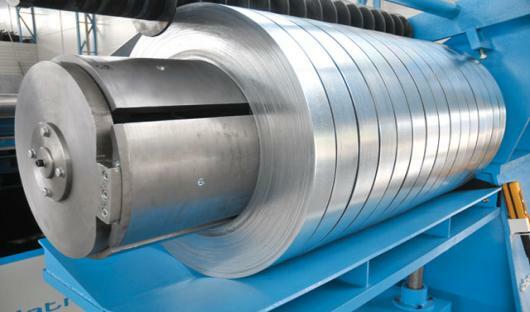 Slitting line machine can slit a master coil in up to 20 strips, according to final coils width, and then recoil them. Master coils can be of galvanized, pre-painted, stainless steel or DCP metal, max weight of 15 tones and sheet thickness from 0,30mm to 4mm maximum. 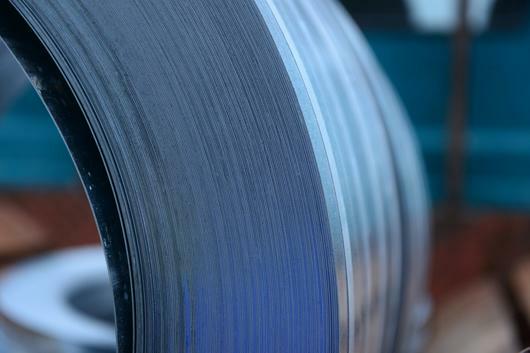 Minimum width of produced coil strips is 300mm, whereas maximum width can reach 1600mm. Slitting accuracy is 0,01mm and recoiling accuracy is 0,2mm/m. 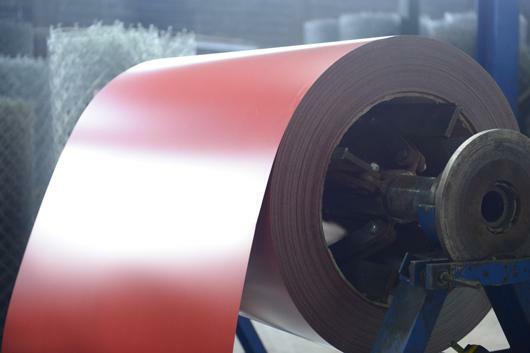 Our production advantage is that width of pilling of the produced coils for sheet thickness of 1,00mm or more is only 1mm and for sheet thickness less than 1mm width of pilling is 2mm. Also, production is continuous due to the 2 slitting heads used. Slitting pattern and cutting heads position is controlled by special software at production line computers, thus eliminating errors occurring. 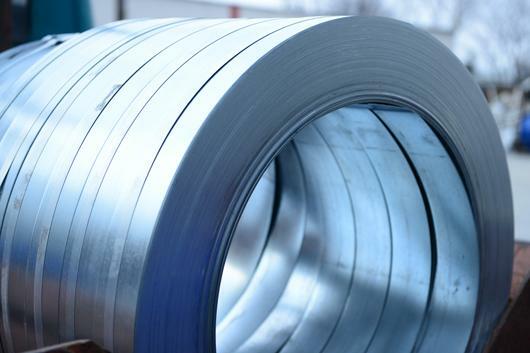 The cut-to-length plate production from coils line, has the ability to process galvanized, pre-painted, stainless steel or DCP metal coils, of max weight 20TN, inner diameter from Φ450 up to Φ700 and material thickness from 0,30mm up to 3mm maximum. Minimum coils width can be from 300mm (strips) and up to 1600mm. 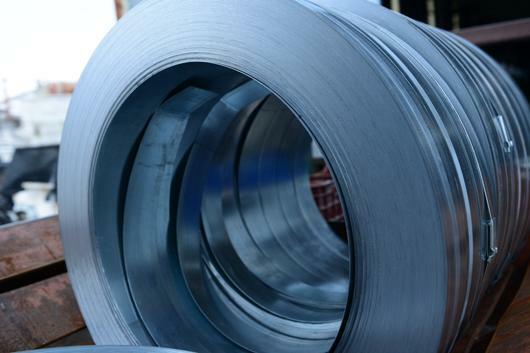 Produced cut sheets of metal can have minimum length of 300mm and up to 7000mm. Cutting accuracy and diagonal dimension accuracy is as low as +/- 0,5mm. The part of the machine that levels coils consists of 7 Hi levelers with 23 rollers of leveling, along with 8 adjustable supporting rollers above and 8 adjustable supporting rollers below the processed surface. Final product of the metal plate production line complies with latest requirement ΕΝ 10131 (for cold rolls – DCP) and requirement ΕΝ 10143 (for galvanized rolls – HDG). Inside our facilities we have also installed two separate crane bridges of 20 and 10 TN. Coils management (lifting, moving and storing) is done by using special metallic nails that attach to crane bridges´ C-type hooks. Loading of final flat sheets of metal is accomplished with special lifting machines and wooden pallets of custom dimensions.